Apple yesterday said that macOS Sierra will support a smaller number of Macs than the previous editions, striking models made before 2008 from the list. 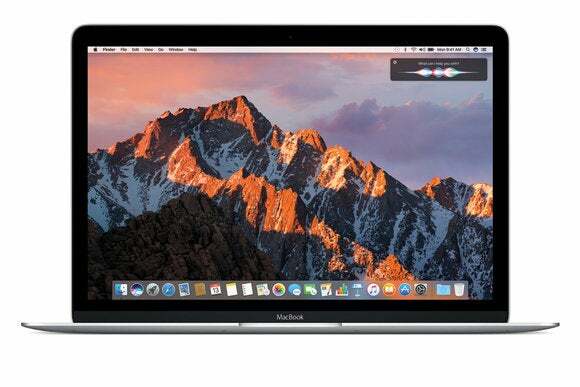 Although Apple did not post the system requirements of macOS Sierra on its website, the company briefly revealed the list in a slide during its Worldwide Developers Conference (WWDC) Monday. The slide, which was on-screen for just two seconds, said that supported Macs include late-2009 and later MacBooks and iMacs, and 2010-and-later MacBook Airs, MacBook Pros, Mac Minis and Mac Pros. Craig Federighi, who heads macOS and iOS development, sped by the slide, saying only that "[Sierra] will be available to everyone else, in the fall, across all of these systems" as the list fleetingly appeared behind him. Sierra's support was narrower than the five previous iterations of OS X, the former name of the Mac's operating system. 2011's OS X Lion, 2012's Mountain Lion, 2013's Mavericks, 2014's Yosemite and last year's El Capitan ran on the same set of systems: iMacs from mid-2007 on; MacBooks as old as late 2008, MacBook Pros from as long ago as late 2007; MacBook Airs from late 2008; Mac Minis from mid-2009; and Mac Pro desktops from early 2008 and later. Apple dropped support for all Mac models that debuted in 2007 and 2008, as well as the heart of its notebook line -- MacBook Airs and MacBook Pros -- launched in 2009. The Cupertino, Calif. company did not offer a reason for the restriction to newer Macs, but online commenters speculated about everything from the firmware and disk drive to the processor and graphics chipset. Others saw a conspiracy in the move, arguing that Apple is simply dumping models to force customers to buy new hardware. They pointed out what they believed were inconsistencies, such as 2009 MacBooks making the list while MacBook Pros -- which sported more powerful components -- from that same year were omitted. Apple has already halted security update support for Macs still running any edition of OS X older than Mavericks. The out-of-support versions accounted for about 12% of all Macs last month, according to analytics vendor Net Applications. Shortly before the release of macOS Sierra this fall, Apple will ship the final security update for 2013's Mavericks, patching only Yosemite, El Capitan and Sierra going forward. It's impossible to know with certainty what proportion of in-use Macs will balk at Sierra, in part because of the five-year stretch when system requirements did not budge. A MacBook Pro made in 2009, for example, and which came with that year's OS X Snow Leopard, may have been upgraded several times, finally to 2015's El Capitan, and so would show in Net Applications' data under the latter's heading. Meanwhile, another 2009 MacBook Pro whose owner kept it on Snow Leopard -- which was the current edition through July 2011 -- would be represented as part of the 3.5% of all Macs running that OS. Yet neither machine will run Sierra. Prior to the unprecedented (for Apple) five-year run of static system requirements, the firm regularly knocked older Macs off the supported list. Windows has traditionally supported a much broader span of PC ages -- systems that originally ran Windows XP as far back as 2001, for example, were theoretically able to run 2012's Windows 8 -- but recently Microsoft changed the rules, saying that Windows 7 would not be supported on hardware with mid-2018 and later processors. macOS Sierra will be available to the general public for testing in July. Users interested in grabbing the preview can register with Apple's beta program on the company's website. Apple executive Craig Federighi touted macOS Sierra during yesterday's WWDC keynote, but breezed over the new operating system's requirements in two seconds.